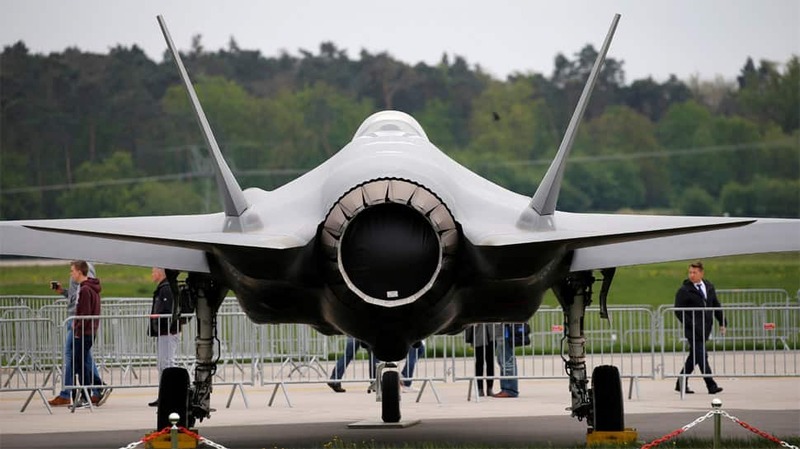 The United States has halted delivery of equipment related to the stealthy F-35 fighter aircraft to Turkey, marking the first concrete U.S.
step to block delivery of the jet to the NATO ally in light of Ankara`s planned purchase of a Russian missile defence system. US officials told their Turkish counterparts they will not receive further shipments of F-35 related equipment needed to prepare for the arrival of the stealthy jet, two sources familiar with the situation told Reuters on Monday. The Pentagon confirmed the Reuters report that the equipment delivery had been stopped. "Pending an unequivocal Turkish decision to forgo delivery of the S-400, deliveries and activities associated with the stand-up of Turkey`s F-35 operational capability have been suspended," Air Force Lieutenant Colonel Mike Andrews, a Defence Department spokesman, said in a statement. Turkish President Tayyip Erdogan has refused to back down from Ankara`s planned purchase of a Russian S-400 missile defence system that the United States has said would compromise the security of F-35 aircraft. The sources, who spoke on condition of anonymity, told Reuters the next shipment of training equipment, and all subsequent shipments of F-35 related material, had been cancelled. The aircraft is built by Lockheed Martin Corp.
NATO SUMMIT The US decision on the F-35s was expected to complicate Turkish Foreign Minister Mevlut Cavusoglu`s visit to Washington this week for a NATO summit. On Sunday, Erdogan suffered one of his biggest electoral losses in decades in local elections. "Certain Russian weapon systems are seen as inherently threatening to the United States regardless of who is operating them and for what purpose," Andrew Hunter, a fellow at the Centre for Strategic and International Studies, said. "Because Turkey is not just an F-35 purchaser, but an industrial partner, blocking delivery of these systems represents a major escalation by the United States as it threatens to impose serious costs on both sides," Hunter said. Reuters reported last week that Washington was exploring whether it could remove Turkey from production of the F-35. Turkey makes parts of the fuselage, landing gear and cockpit displays. Sources familiar with the F-35`s intricate worldwide production process and U.S.
thinking on the issue last week said Turkey`s role can be replaced. Turkey has shown interest in the Patriot system, but not at the expense of abandoning the S-400. Turkey has engaged with US negotiators in recent days about buying the Patriot system, a person familiar with the matter said on condition of anonymity. The system is made by Raytheon Co.
Two additional jets are scheduled to arrive in Arizona in April and a significant delay could impact Turkey`s November target date for operations. US lawmakers also have expressed alarm over Turkey`s planned purchase of the Russian system. Four US senators last week introduced a bipartisan bill that would prohibit the transfer of F-35s to Turkey until the U.S.
government certifies that Ankara will not take delivery of the S-400 system. Following news of the halt, US Senator Jeanne Shaheen, one of the bill sponsors, said she was glad to hear the administration was "to delay the transfer of F-35 equipment to Turkey to help ensure U.S.
military technology and capabilities cannot fall into the hands of the Kremlin."